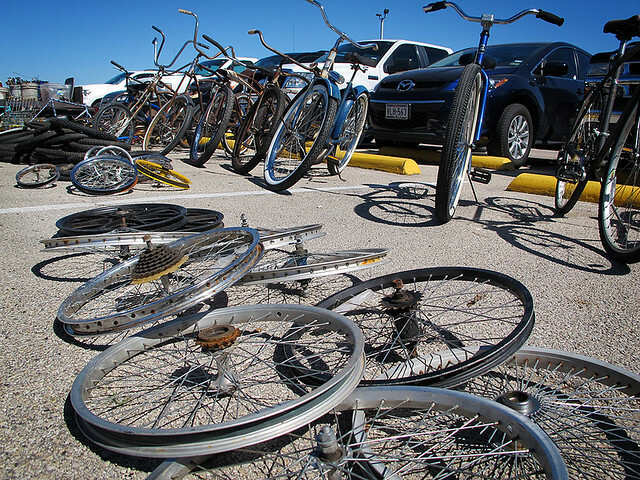 I’ve missed the Great Southwest Bike Swap for the last few years, so it was a priority to make it out to Fort Worth for this year’s event. 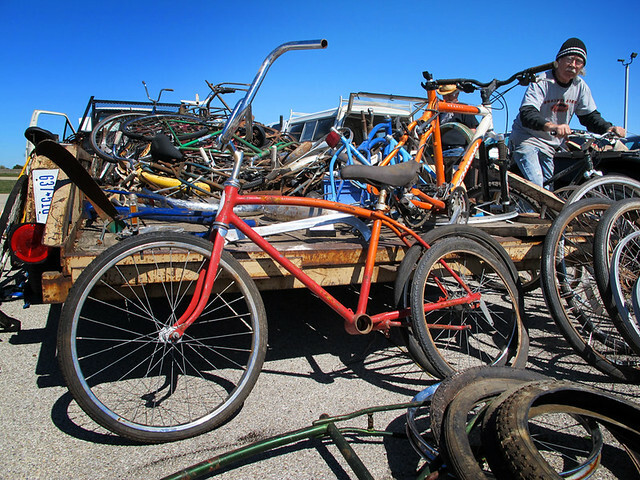 Having never been to a swap meet before, let alone a bike swap meet, I had no idea what to expect. 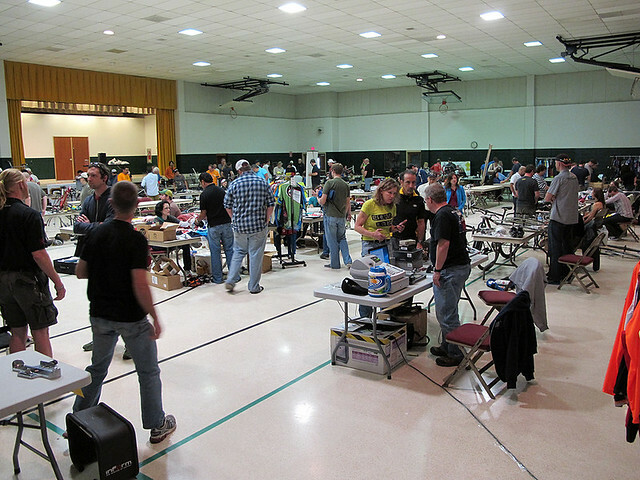 Admittedly, I had delusions of a massive hall, with rows and rows with dealers dumping extra inventory, enthusiasts ready to unload their spare parts for next to nothing, collectors willing to part with some of their bikes and artisans with unique bike crafts. In reality, it was probably a fraction of that delusion. There was a little bit of everything that I expected, but it was somewhat underwhelming. Perhaps, if this event were down the street from me, I would have had a lower expectation. However, trekking to the complete opposite end of the Metroplex, my hopes were higher. 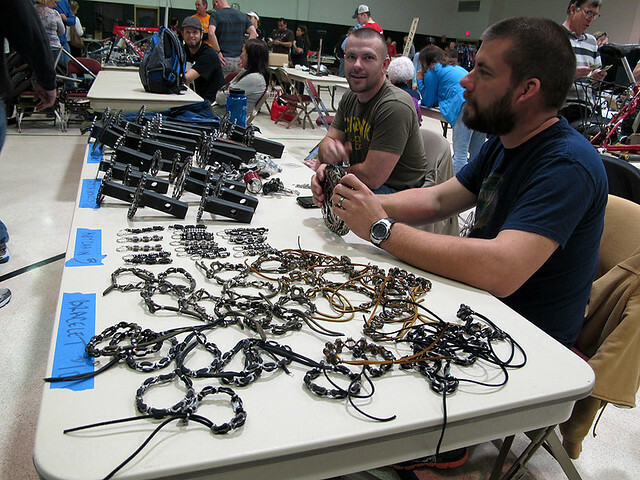 The swap seemed more like a big garage sale with lots of used stuff that nobody wanted. I guess if I could have geeked out a little bit more and comb through everything, I might have found a little treasure. But with family in tow, my visit ended before any great finds. I did leave the event a bit inspired. I’d like to see about setting up something like this in my neck of the woods. 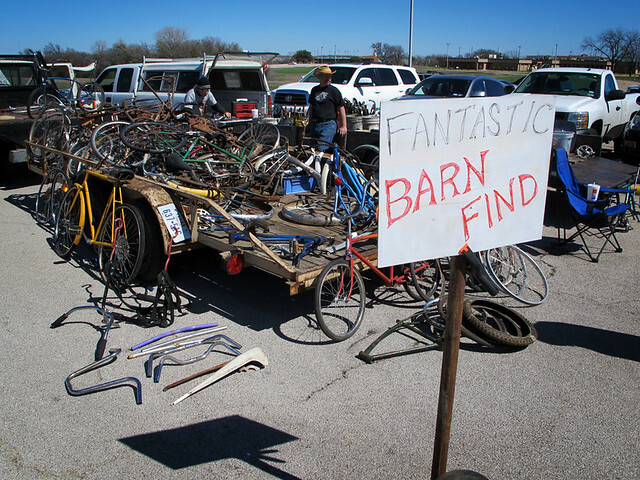 Perhaps a Dallas Bike Flea Market – sort of like what Bike Friendly Oak Cliff did with last year’s bike fair, but with more individual participants and food trucks. Click here to see all of my pics. 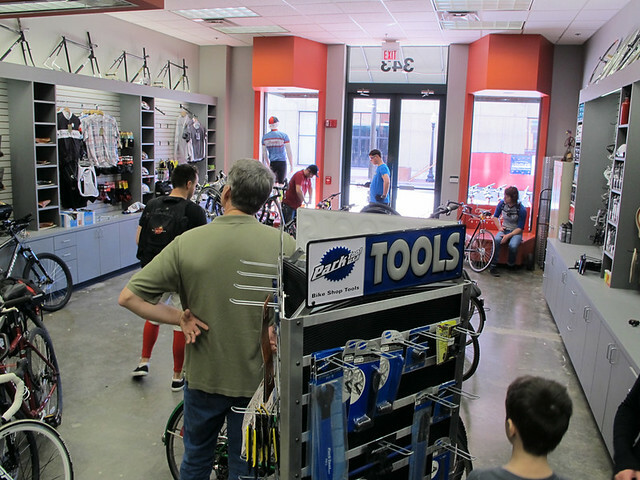 While we were in Fort Worth, we stopped by the new Trinity Bicycles location at Sundance Square in Fort Worth. They were still setting up, but it’s coming along nicely. Why didn’t you say hello? Did you buy a pair of shoes at 75% off. At that price, they’re cheaper than Costco! Unfortunately, the only MTB shoes in my size were duplicates of a pair I got last fall and haven’t worn yet. 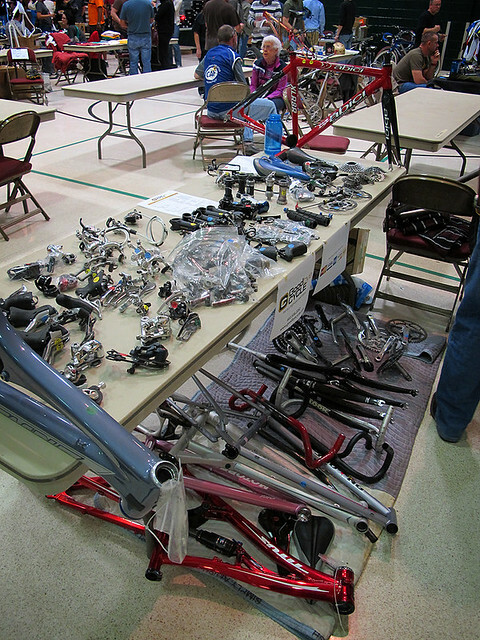 Steve, the Imelda Marcos of bike shoes! 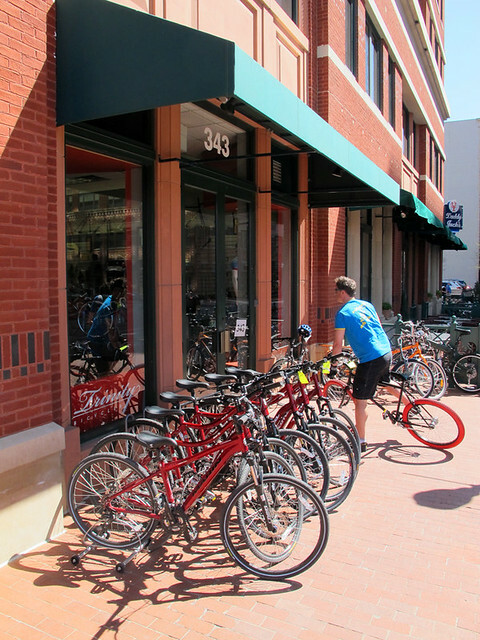 So what about your idea to do something like this in Dallas. I would be interested in that.